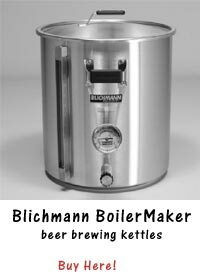 Are you fed up with all the messy and inconvenient procedures involved in bottling your own beer? Do you love the simplicity and convenience of kegging, but do you need to bottle for transport or selling? Then this is a must read article. My wife loves my beer but she used to hate it when it was bottling time again, because I always ended up whit a big sticky mess. Until I bought the BeerGun from Blichmann Engineering I went nervous on forehand because there was always at least one accident with overflowing bottles, or I dropped a bottle just from nerves. But no more! The BeerGun is, compared with other bottle fillers, absolute fool proof. You can operate it with one hand so the other can hold the bottle. The other thing that is a great improvement in comparison to other beer filling equipment is that I can now get the bottles filled to the top instead of half beer, half foam. Also the CO2 is in the bottle and the oxygen out so the beer taste better and can be stored much longer. It does not matter if you use the BeerGun to transfer beer from a bucket or straight from a keg because it does not pressurize the bottles. It really is much easier then any other bottle filler especially the counter pressure filler. 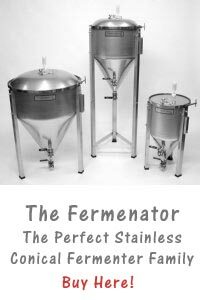 And something I also like that it is easy to clean and every thing that touches your beer is made from stainless steel. That is what also gives it a professional feel. You can feel you have quality equipment in your hands. How does The Blichmann Beer Gun work? What better way to tell you then by showing how it works. This video will let you see exactly how to set up your Blichmann beer gun and start filling those bottles. 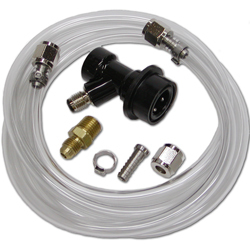 The BeerGun comes with everything on the picture above, including a 10ft hose and a great brush for cleaning the inside of the tubes. There are off course much cheaper solutions and belief me I tried most of them before I bought this. But I am sorry I didn’t spend the money when I just started because it would have saved me (and probably you too) a lot of stress and irritation. The BeerGun can be bought for around 70 dollars right here, and I do recommend the High Gravity shop because not only do they sell for a good price but they also provide you with the best service. The BeerGun is at a discount at the moment so be quick to buy one now. Prices will be up very soon..
You can also buy a so called “BeerGun accessory kit” which gives you all you need to get the BeerGun installed and operating! 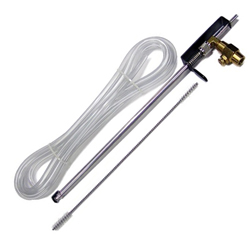 a brass flare adapter allowing you to connect to the CO2 valve on the BeerGun. I borrowed the BeerGun from a buddy, and used it for 2 batches before I bought my own, the borrowing gave me a good impressions of it. It doesn’t counter pressure fill, but I have found that this isn’t really necessary because it goes slow enough with the head pressure. Is it worth the cost? I thought so otherwise I wouldn’t buy it . Duh! It is a fairly quick method of bottling and it isn’t as annoying as using a counter pressure bottle filler. I absolutely love the beer gun. And I have nothing but good things to say about it. Except that they should sell it all together the BeerGun and the accessory kit because thats what you need to run it, but it’s not a big deal to order two products together. As far as the expense, I think it’s absolutely worth it. But I’m the kind of person who has no problem spending money on quality. It saves me hours and hours trying to build something that is probably not as good now I can spend that time on other things I do. I have a Counter pressure filler and I really hate it. I will buy a beer gun when my paycheck is in. I never had a fight again with my wife about the mess I made (foam on the ceiling), and she actually said that the beer tasted better now I use the BeerGun. I absolutely guarantee that you will in fact start to like filling those empty bottles.